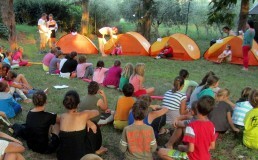 health, giving and dreams, which will enable children to experience at least one of those. 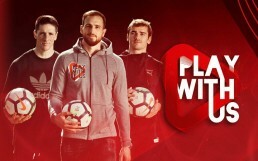 PlayersPromotion and the Slovenian Red Cross have organised a joint campaign to unite health, giving and dreams, which will enable children to experience at least one of those. We want not only to make kids happy, but we want to give them something more, we want to give them memories for lifetime and awareness that they are kings of their world." Personal experience brings people to certain kinds of perspectives. There are different paths, as there are different stories, yet the common denominator is only one, that is, to help people. Life makes us to recognize that alone we aren’t able to do much, yet together we can move mountains. 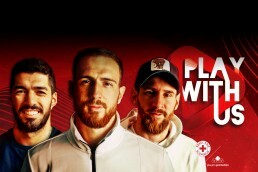 This is why we established the PlayersPromotion foundation, where we will join forces to help people, raise awareness on pressing issues, collect funds and raise awareness in general. 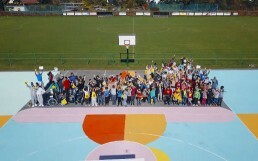 On 9 October 2017, 1000 square meters of art came under the brushes of children with special needs and made into something great for the whole neighborhood. At PlayersPromotion we are privileged to know people who don’t find it hard to come and help out when called upon. Join us in our future projects. With the help of our two supporters, Arda Turan and Fernando Torres, we will be running auctions for their football shirts. Besides being rewarded by putting a smile on the face of these children, you too can win numerous prizes and become a local hero. So get involved! The above saying is by the parents of Jan Oblak. His father, Matjaž Oblak, and his mother, Stojanka Oblak, are a living proof that you can live the way you want. Both are employed in the Sožitje Škofja Loka company, where they are every day driving children with special need to school and back home. 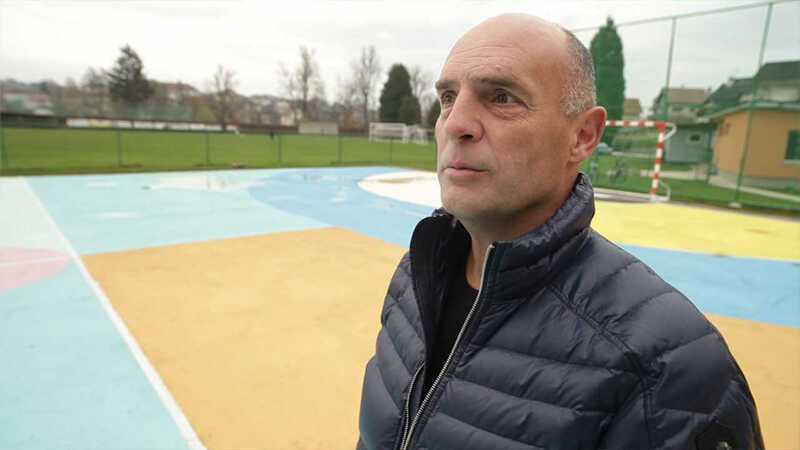 How they passed this thinking to their children, Jan and Teja Oblak, you can find out in a short video story.